OK, so it feels kind of weird to associate an alcoholic beverage with a character from our childhood, but eff it — there’s a Hello Kitty wine available and our lush tendencies have shoved nostalgic guilt to the side because we absolutely cannot wait to gulp, er, sample it. 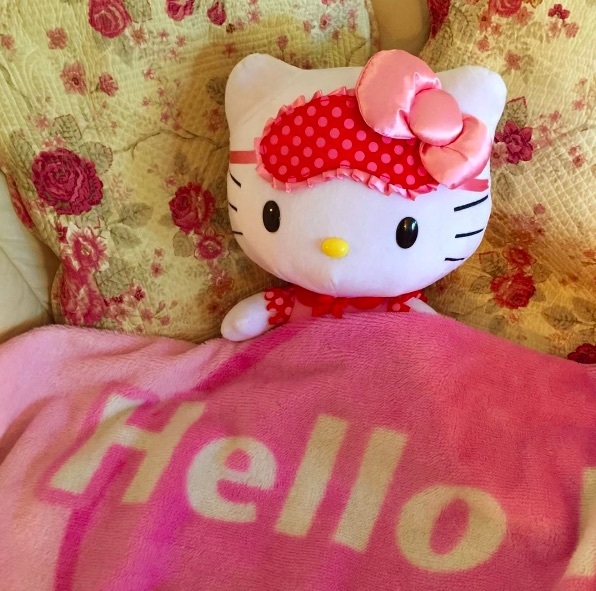 According to Delish, the character’s creator Sanrio collaborated with Italian winery Torti to produce a line of Hello Kitty Wines, including a blush sparkling wine that consists of pino nero grapes and chardonnay. That smooth, fruity offering will be alongside a white sparkling wine, with white and rosé options as well. For now, the only place you can get your Hello Kitty sip on in the U.S. is at Antonello Ristorante in Southern Cali (so not fair), and gasp — there’s also a Hello Kitty beer (how did we not know about this?). But not to worry, wine enthusiasts: Sanrio is in the process of expanding the line to suit all of our sipping needs.